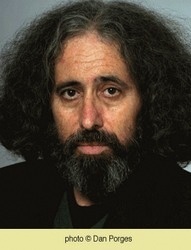 Shimon Zimmer was born in Haifa in 1950. He spent several years as a stage actor before becoming a playwright. A number of his plays, including his political satires, have been performed on stage. Zimmer has published novels and short stories. He was awarded the Prime Minister's Prize in 2005, and his novel, Sometimes the House Is a Murderer, was shortlisted for the 2016 Sapir Prize.